There is a common problem amongst the OEM body mount bushings on Ford F150, F250, and F350 trucks manufactured in the 1980s and 1990s. 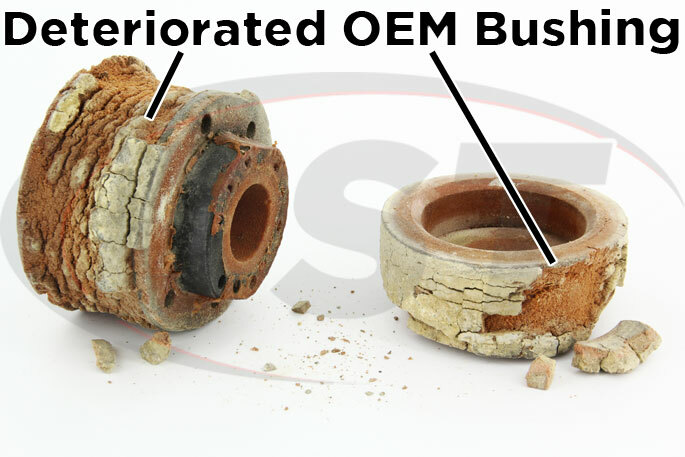 If you have noticed that your cab is sagging on the driver or passenger side (or both), then you probably need to replace those OEMs with Polyurethane Body Mount Bushings. Also, you might be experiencing poor handling from your Ford, which is another sign of the need for body mount replacement. To take care of the sagging you can hike up the cab with shims if you want, but the underlying problem is the worn out rubber OEM bushings that could be on the verge of falling apart. If your rubber bushings are starting to fail and you replace them with polyurethane body mount bushings you will be able to tell the difference immediately. The polyurethane bushings will keep your cab attached firmly to the frame with just enough give to make sure your ride isn't too rough. If you're looking for a dependable, long-lasting solution to your truck's cab sagging or poor handling then look no further. 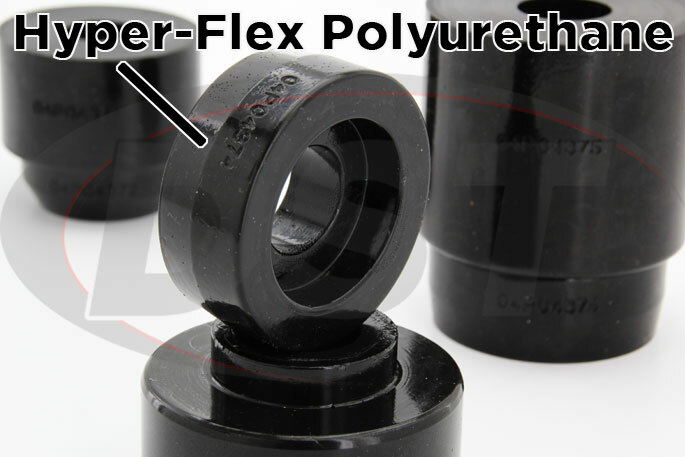 These bushings are made of a special blend of polyurethane called HYPER-FLEX. 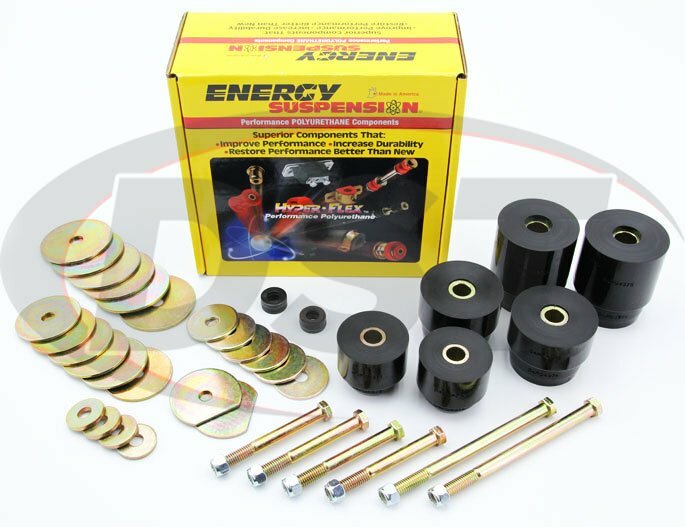 The folks at Energy Suspension are very proud of it because several years of research have gone into this blend of strength and flexibility. 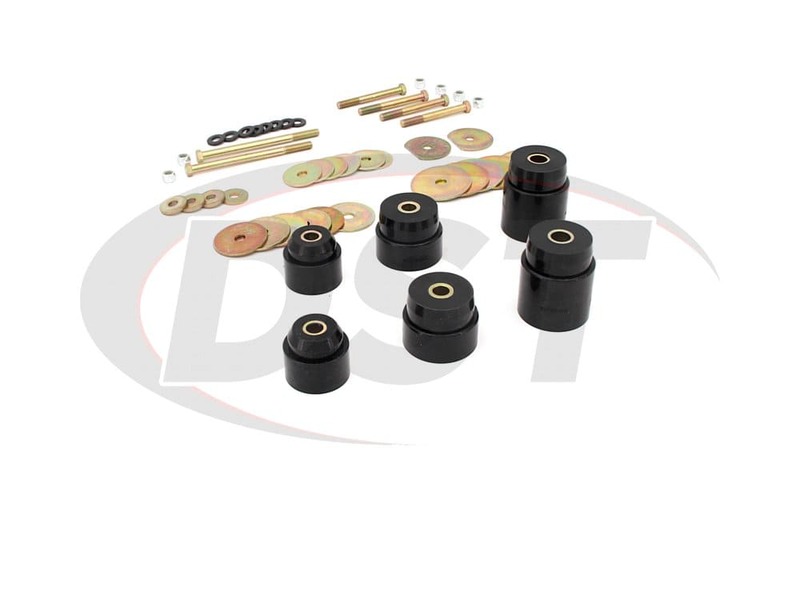 These bushings are stiff enough to provide a more responsive handling experience with your Ford truck but have enough give to keep your ride smooth. Polyurethane is a tough substance that won't break down in the face of ozone, road salts, oil, and chemicals commonly used under your truck. If you're thinking of DIYing this little project and the thought of Cadmium plated parts worries you, never fear. 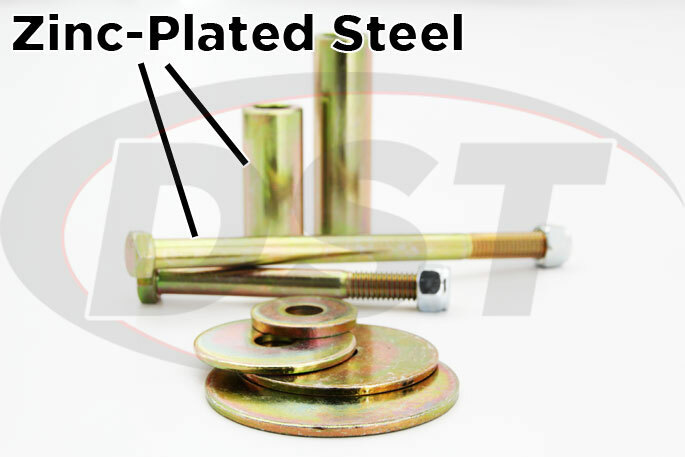 The hardware in this kit employs a zinc coating to keep those parts from succumbing to the most feared enemy of all steel; rust. The barrier that the zinc provides will extend the life of the hardware on this part, allowing you to breathe easy while you're heading down Hwy 377 out of Stephenville toward Forth Worth to enjoy a night on the town. If you are experiencing this cab sag then you can already see the effects of a failing body mount bushing. Whether the rubber is crushed or beginning to rot from exposure, the material just isn't up to the task of keeping your Ford's cab aligned with, or secured to, your frame. Switching to polyurethane body mount bushings will keep the cab of your Ford truck tightly secured for the life of your vehicle. 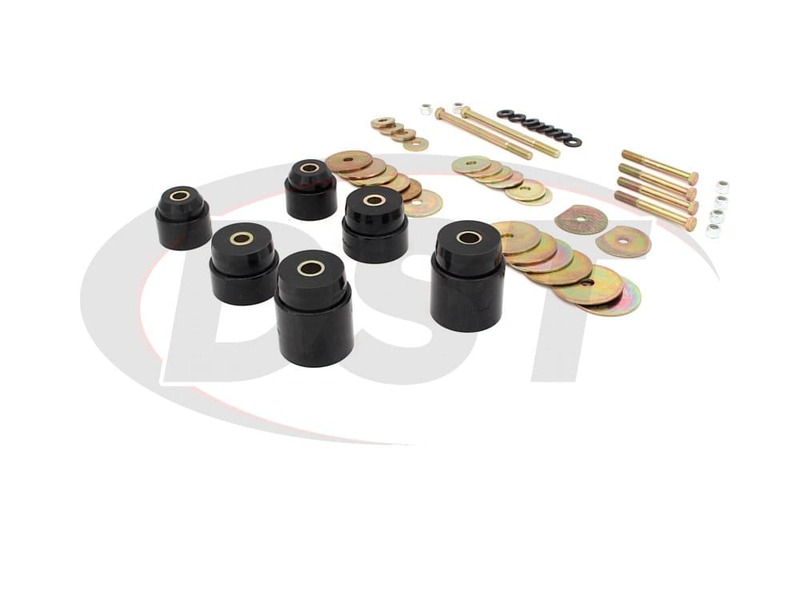 This body mount kit will keep you riding true long after those rubber bushings are decomposing in a landfill. Still holding up great no issues at all. Great product! Parts are very good quality, Directions were extremely helpful explaining recommending a removal process and diagram was also instrumental in determining the proper combination of parts for each bushing location. Parts fit perfectly and the instructions were awesome. Will part number 4.4123 fit my 1996 ford f250 superb 4x4? Yes, part number 4.4123 will fit the 1996 ford f250 superb 4x4. What is the difference between kit numbers 4.4123 and 4.4107? 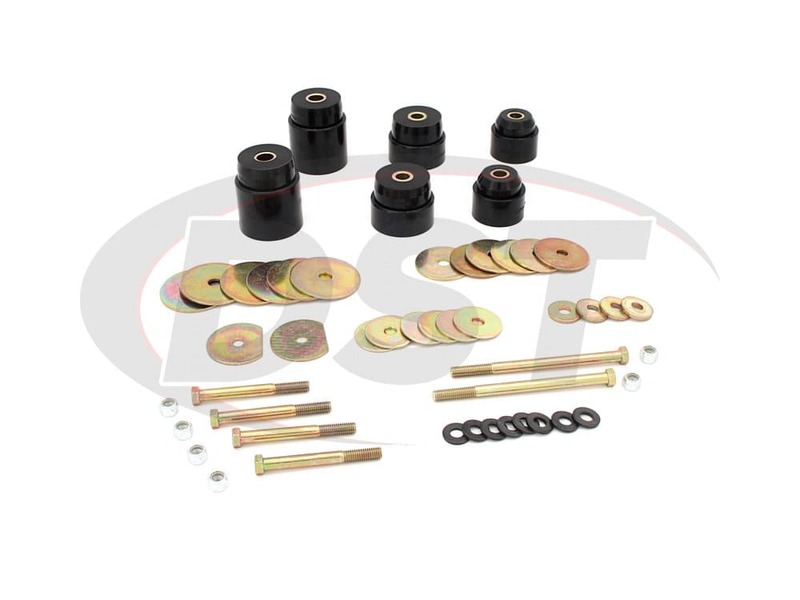 Kit number 4.4123 comes with the bushings and the replacement hardware and part number 4.4107 comes with the bushings and 2 new washers only. Dose the cab mount kit 4.4123 come with the radiator supports too? 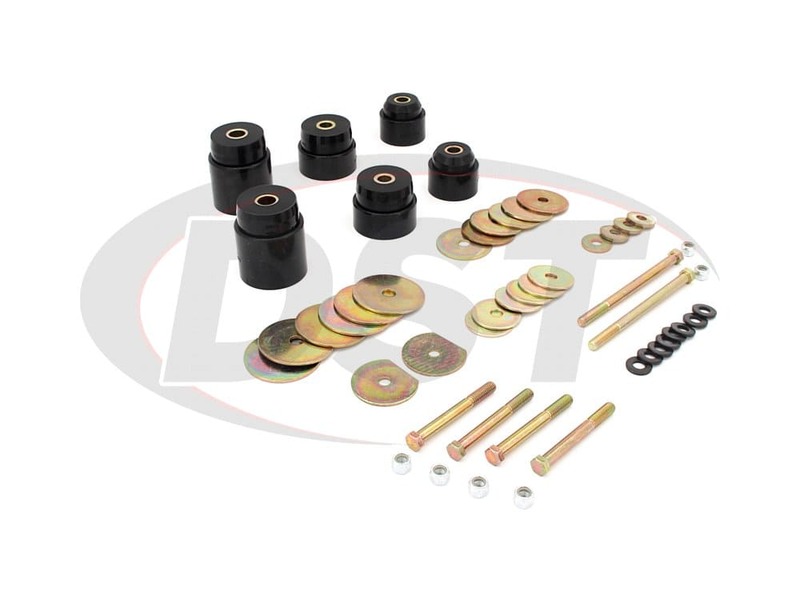 Body Mount kit 4.4123 does come with the radiator support bushings as well. Does 4.4123 body bushing kit cover the crew cab also? Yes, part number 4.4123 will work with crew cabs also. Why are these shorter than the rubber ones? The bushings in 4.4123 are made out of polyurethane and are pre-compressed. Does part number 4.4123 come with all 14 new bushings? 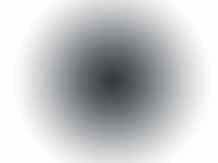 Because the picture does not show that many. No, part number 4.4123 only comes with 12 new bushings. Am I able to buy just pieces from kit number 4.4123? I do not need the whole kit. Yes, you are able to buy just pieces from kit number 4.4123. Will the part 4.4123 cover everything I need for the body mounts? 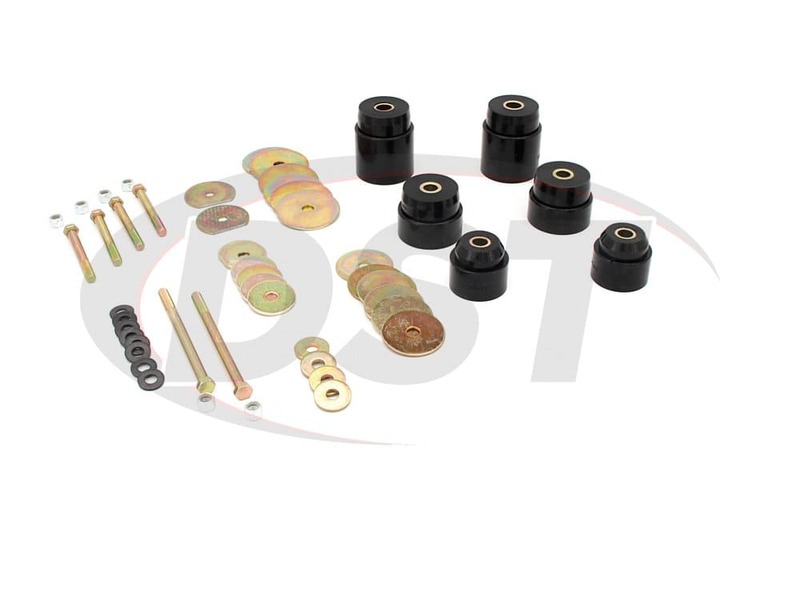 Whats the difference between the body mount bushing kits 4.4123 and 4.4107? 4.4123 comes with the new hardware and part number 4.4107 does not come with the new hardware. Does this kit contain the front radiator support hardware and bushings? Will kit 4.4123 fit my 1997 F350 Crew Cab? Do u have the cab bushing and hardware set for a super cab been looking everywhere really need for my truck? Energy kit 4.4123 has the mounts and hardware from the core support to the back of the cab. The mounts are available in red or black. Will 4.4123 work on my 97 F350 crew cab?